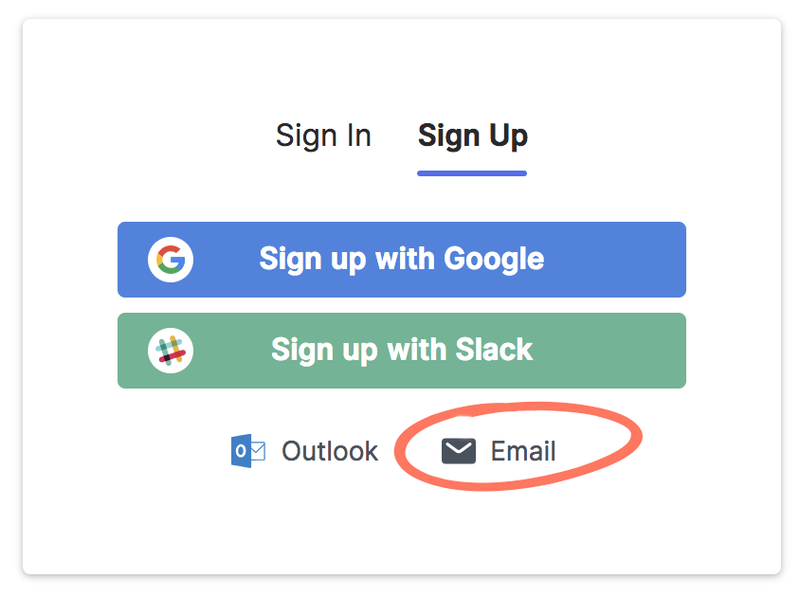 You can Sign Up with email and password from the same screen as with Google, Slack and Outlook OAuth. Forgot your password? No problem! Go to our Reset Password page type in the email address associated with you loom account and we'll send you a link to reset your password.